Jumping out of bed to investigate a commotion on Christmas Eve, a young boy finds Santa struggling with a sleigh malfunction. Santa insists the sleigh is a complex piece of Elfin technology, but the solution might be a lot simpler than he thinks. 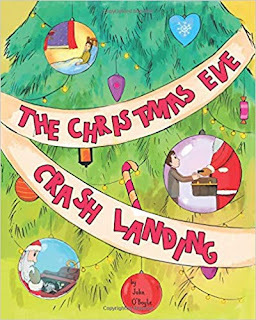 The Christmas Eve Crash Landing is a modern-day rhyming tale inspired by a classic Christmas story.